By Rachel Held Evans, on July 23, 2013. 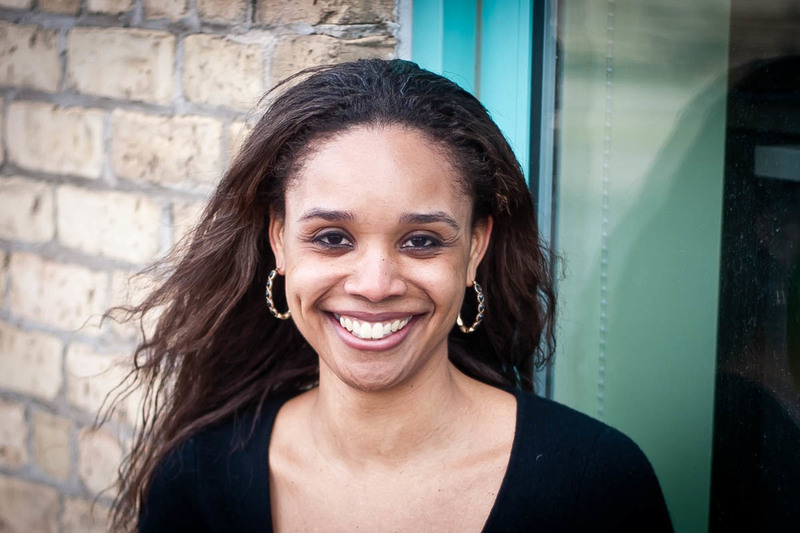 Today I am thrilled to introduce you to Christena Cleveland, one of my favorite bloggers. Christena is a social psychologist who's all about helping people use their heads, hearts and hands to do the work of unity and reconciliation. She is the author of Disunity in Christ: Uncovering the Hidden Forces that Keep Us Apart (out in November from IVP) and she blogs at christenacleveland.com. What I love about Christena’s work is that it is consistently thoughtful, gracious, and PRACTICAL. Few writers are able to instruct without condescending, question without growing cynical, and challenge without hurting. I am so grateful for Christena’s wise perspective and pleased to share a little of it with you today. Just last week I spoke at a conference at which I hardly knew anybody. But about halfway through the week, I made a new acquaintance and within seconds of swapping similar stories, we became fast friends. Almost instantaneously, we made a lasting connection – and in that moment, I felt significantly less lonely. That’s the magic of story-telling. I love the way that stories powerfully bond humans together by highlighting common experiences, identity and foes. In fact, story-telling (or what we social psychologists call personal-disclosure mutual-sharing) is a commonly used team-building exercise precisely because team identities easily form around the common experiences that we discover when we share our stories. As a longtime evangelical, I’ve noticed that evangelicals are quite good at telling stories – we tell them in our sermons, our blogs, our books, our songs, our conversations, and even in our most strident arguments. But I’ve noticed something about evangelical story-telling that is worth reflecting on: within evangelical America, not all stories are created equal. Some stories enjoy more prominence than others and story-tellers from certain groups have dominated the mic for a long time and continue to do so. There’s so much talk of a “new evangelicalism” that is younger, more diverse, less rigid and more open to different viewpoints than the old evangelicalism. But I can't help but notice that the largest, more influential platforms within this so-called new evangelicalism typically give voice to people who have long had a voice. Representatives from the same group of privileged people who dominated conversations in the 20th century continue to dominate the conversations about current issues such as modesty culture, immigration reform, relevancy in culturally-diverse America, gender issues, and more. Privileged folks – whites, males, the educated/upwardly-mobile, and others who benefit from living in a society that accommodates rather than alienates them – continue to stand front and center in pulpits, on blogs and at conferences. Meanwhile, the stories and voices of the disenfranchised, people of color, the informally educated, and the undocumented are woefully underrepresented. The new evangelicalism looks eerily similarly to the old one. By participating in an evangelical world that mirrors the inequitable power structures of mainstream America, we undermine our Christian witness. More to the point, the fact that privileged folks continue to enjoy the largest voice in evangelical Christianity directly contradicts the example of Jesus, who masterfully used his privileged voice to draw attention to and give voice to the oppressed voices of his day. Jesus used his platform to create space for the bleeding woman to share her story, for the little children to come swap stories with him, and for alienated ethnic minorities to talk about their experiences and perspectives on faith. Jesus used his privilege to extend the kingdom of God. We, on the other hand, tend to use our privilege to contract the kingdom of God. Jesus used story-telling to give voice to the Other and invite the Other in. We tend to use story-telling to give voice to ourselves and help us identify like-minded others. Jesus’ story-telling was other-centered and inclusive. Our story-telling tends to be me-centered and exclusive. To be fair, there are justifiable reasons for this. One, in an effort to consume information efficiently, our brains seek out self-relevant information. In other words, our brains are constantly scanning the perceptual world, looking for information that is relevant to our own stories and perspectives. Since we have limited cognitive resources, our brains tend to zero in on information that is self-relevant and ignore information to which we can’t instantly relate. Due to this natural tendency, we tend to avoid the stories that, at first glance, don’t seem relatable to us, because listening to those stories would consume a lot of cognitive energy. But when we only pay attention to and promote stories that we personally find relatable and affirming, we blind ourselves to the ways in which we are cutting ourselves off from, silencing and marginalizing others. It's easy to think that only überprivileged people need to think intentionally about connecting with and creating space for marginalized voices. But those of us who straddle the line between privilege and oppression need to be equally vigilant in this area. We can be blinded by our single-minded vision to raise our own voice and in doing so, ignore and oppress those who have even less of a voice than we do. In order to embody Jesus’ intense commitment to give voice to the marginalized, those of us who are privileged and benefit from having a voice must move from me-centered story-telling to other-centered story-telling. We must embrace the kinds of stories that our self-relevance-seeking brains tend to overlook. These are the stories that, at first glance, seem unrelatable and threaten to consume our precious cognitive resources. We must also leave our comfortable identity-fortresses of like-minded others and instead imaginatively inhabit the stories of people who are nothing like us, befuddle us and even offend us. In doing so, the magic of story-telling will bind us together, so much so that we take on the perspectives and burdens of the oppressed, subvert the unjust power structures within evangelical America and extend the kingdom of God. So I propose a new pattern of other-centered story-telling and voracious listening on the part of privileged people. Let’s create space for and hold our mics up for the stories and perspectives that have historically been silenced. Once a month, my friend Pastor Luke invites a member of an oppressed group to preach in the pulpit on Sunday morning. I think Pastor Luke is onto something, but you don’t have to be a pastor to do this. My friend Cate practices simplicity by giving an article of clothing away whenever she purchases an article of clothing. I think we can apply this practice to another commodity: time. What if every time we read an easily relatable blog post by a more-or-less similar other, we intentionally read a blog post by a marginalized, dissimilar other? What if every time we shared an easily relatable blog post by a more-or-less similar other, we intentionally shared a blog post by a marginalized, dissimilar other? How might the voices in the evangelical landscape change? How might we use our privileged voices to extend the kingdom of God? Read more from Christena on her blog or follow her on Twitter. Ask a traditionalist 1 (free will, postmortem repentance)….